Use the following resources before you come to your appointment in the Writing Center. Developing the habit of using resources will help you to become a more independent writer during and beyond your university career. The Purdue Online Writing Lab (OWL) provides resources for most writing topics, including getting started with the writing process. Tips for Revising Your Own Writing: Taking time to self-edit or to receive editing from a peer before visiting a Writing Assistant and turning in you paper will support your development at a writer at the university level. Beacon Articles on Writing by former IWP Director Dr. Lars Erik Larson: Advice on 1.) Writing through questions, 2.) Writing across the centuries 3.) Writing through opposition, and 4.) Finding your voice. Writing Assignment Calculator: Create a timeline to guide you through the entire writing process, all the way up to the paper's due date. The Purdue Online Writing Lab (OWL) mechanics page provides resources for improving your writing at the sentence level. For grammar help, you'll find help on the Purdue OWL grammar page. To learn more about punctuation, check the Purdue OWL punctuation page. Wordsmyth: No need to be a poet to check out this great reference about words and how to use them. Our TurnItIn page for students explains how to use TurnItIn through your instructors' Moodle pages. 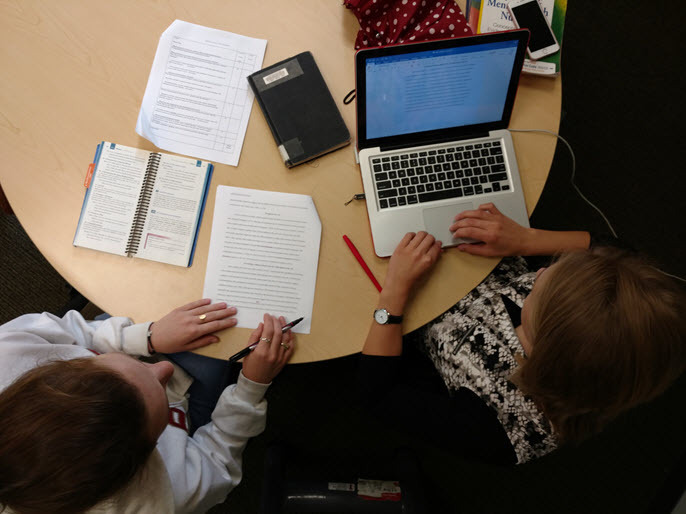 The University's Clark Library offers information on avoiding plagiarism. Check out the Purdue OWL Research and Citation Guide. The Clark Library's Get Help site: helpful tools, including online pointers in researching in various specific disciplines, making citations in various styles, and a calendar plan for completing your paper. Purdue OWL ESL Resources: Helpful hints and handouts from Purdue's nationally recognized online Writing Center. Dave's ESL Cafe: User-friendly resource for Non-Native Speakers or English as a Second Language Learners. For information on writing in a variety of disciplines, see Purdue University Online Writing Lab (OWL). This resource offers the latest APA, MLA, and Chicago style guides, as well as handouts on various aspects of writing and research across the disciplines. Labwrite: Helpful guide to write dynamite lab reports. Overview of Writing Across Disciplines: Summary of the different writing styles and standards of different academic disciplines.